Aishwarya Rai Bachchan spills the beans on how husband Abhishek Bachchan Proposed to her. Aishwarya Rai Bachchan and Abhishek Bachchan‘s love story started during the shoot of Mani Ratnam’s Guru. Recently, the actress revealed when and how her husband proposed to her. It seems Abhishek proposed her before the release of their film. The story goes back to 2007 when the couple was in New York. Abhishek went down on his knees in a hotel’s balcony and handed a ring to Aishwarya in the most romantic way; rest, as they say, is history! 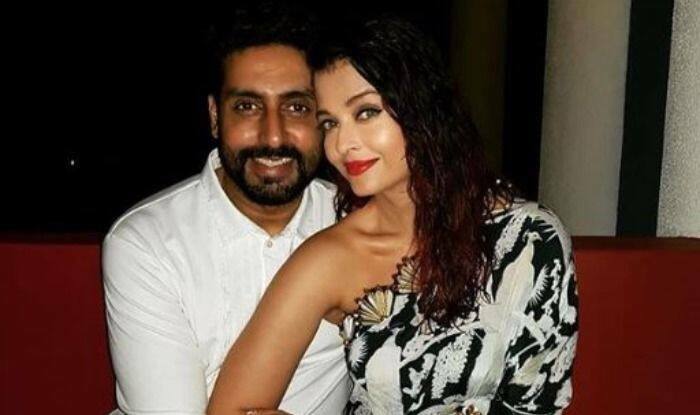 In a recent interview with Filmfare, Aishwarya was asked if she recalls the time Abhishek proposed to her and the Fanney Khan actress straight up said, “of course, I recall.” She then went on to say, “During the shoot of Jodha Akbar‘s song ‘Khwaja Mere Khwaja‘, sitting as a bride, and I am like, ‘OMG this is surreal, all happening on-screen, off-screen, this is bizarre’ and Ashutosh is like,’ you are engaged and I am like what!’ “. Aishwarya and Abhishek are one happily married couple now with a daughter named Aaradhya Bachchan. They have never shied away from showing affection for each other, giving us major couple goals. Aishwarya, who is very active on social media, keeps sharing pictures of her family and every time she shares something, it takes the internet by storm. On the professional front, Aishwarya was last seen in the Fanney Khan, which didn’t perform well at the Box Office but the stellar cast including Rajkumar Rao, Anil Kapoor and Divya Dutta were lauded for their performances. As for Abhishek, the actor made quite some noise with his performance in the movie Manmarziyaan and now the husband-wife duo will be seen together after a long time in Anurag Kashyap‘s production Gulab Jamun. Aishwarya first mentioned Gulab Jamun in an interview while promoting Fanney Khan. She had said, “AB (Abhishek Bachchan) and I have agreed to do Gulab Jamun. I told AB that he needs to decide what he wants to do after Manmarziyaan.” The couple was last seen together in Mani Ratnam’s Raavan. Gulab Jamun is expected to go on floors in January 2019.